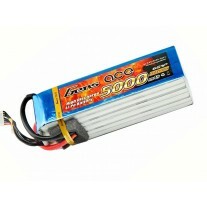 With a maximum discharge rate of 90C, Gens ace 5000mAh 11.1V45C 3S1P suited to Multi Rotor Helis. 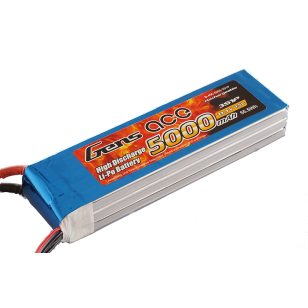 Gens ace 5000mAh 11.1V 3S 45C Lipo Battery is suited to Multi Rotor Helis, the battery with best price and Germany local service, it's have high quality and long flight time for multi rotor helis. 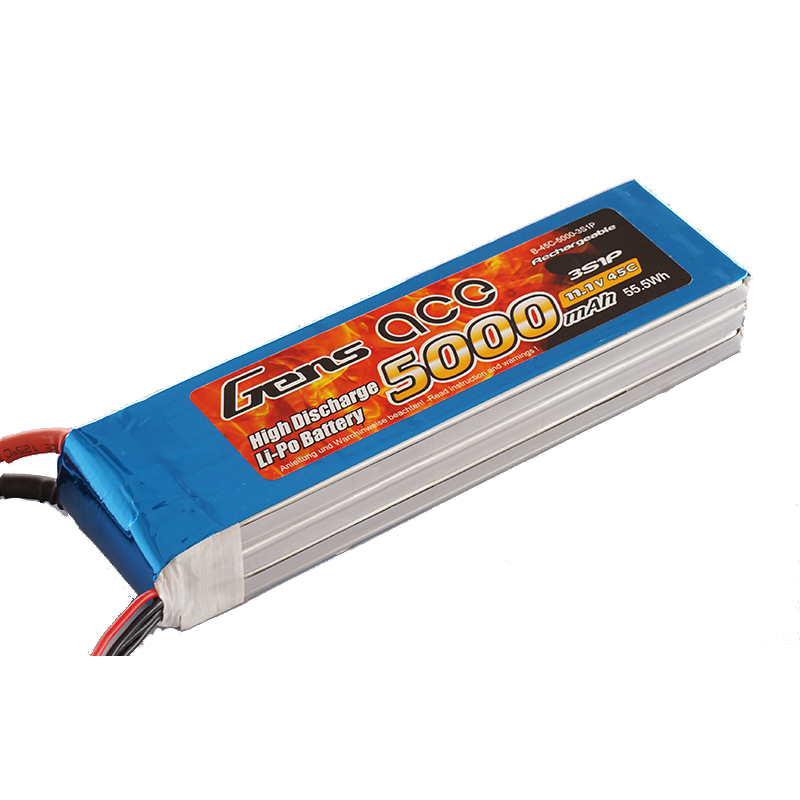 Gens Ace is one of the top rank battery corporations with deep research and manufacturing on NIMH, LI-PO, LI-FE by the effort of 200 professional engineers and technicians with 20 years exquisite battery technology. Gens Ace brand holds the traditional concept of "excellent quality", "Optimization"& "Priority" on Sales & Services. 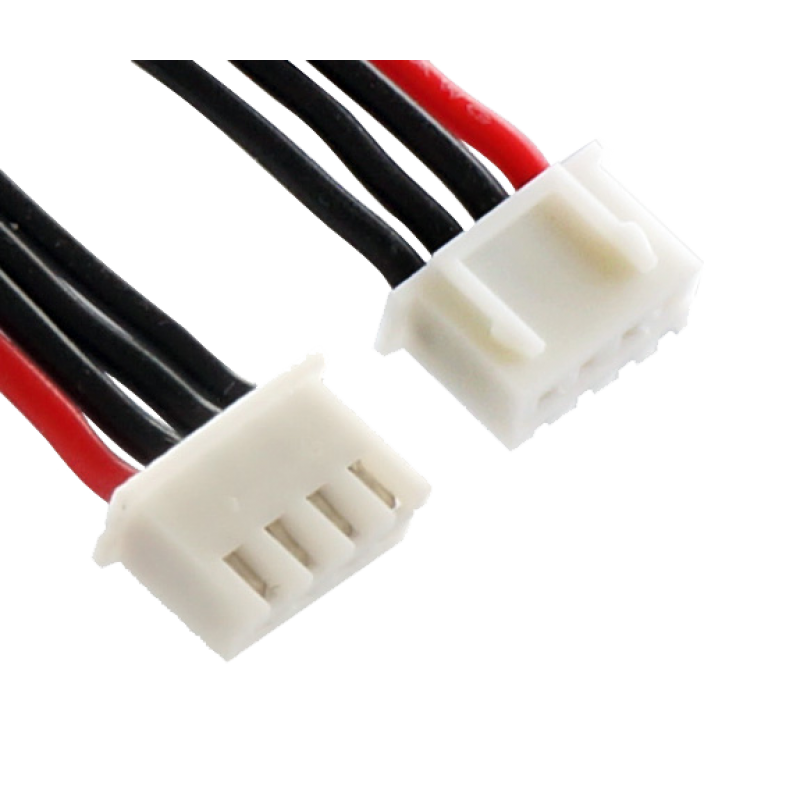 All batteries are tailored for various scales of the RC Models such as electronic cars, aero planes, vessels and also other models, toys, electric tools, electric bikes, electric autos, digital products etc. 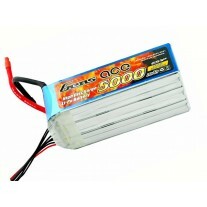 Gens ace 5000mAh 11.1V 3S 45C Lipo Battery is suited to Multi Rotor Helis.